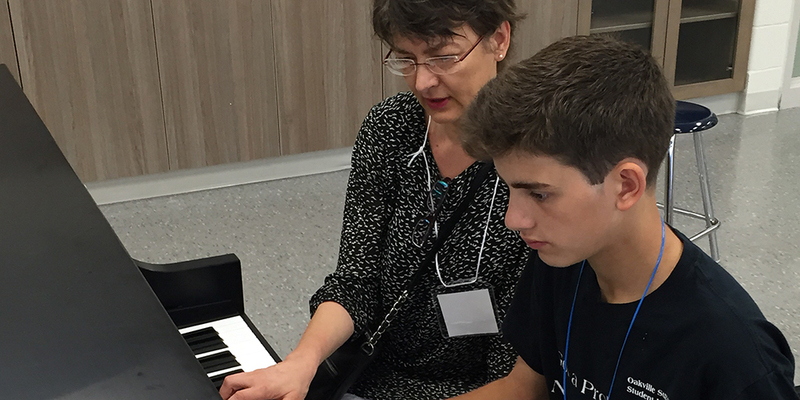 Private lessons are at the core of the Suzuki method of learning. Our highly-qualified, Suzuki-trained teachers offer lessons across seven instruments: violin, viola, cello, flute, guitar, piano and double bass. Through weekly lessons, students progress through graduated music books. Each child progresses at his/ her own pace, with the support of both teacher and parent. Teachers help prepare students for the concerts, events, recitals and graduation performances that happen throughout the year. See a list of Our Teachers. You don’t need to have any musical experience to help your child learn to play an instrument. OSA teachers will help you to learn how best to take notes during class and support your child in practises at home.